Not the Highline but the Coal Line? Brighton Greenway – could it be Brighton’s Highline? At first, I thought New York’s superb mile-long walkway-in-the-air was a good model for Brighton Greenway. All we need is a world-class landscape designer (Piet Oudolf, the pioneer of prairie-style perennial gardening, designed the Highline) and a couple of million. But despite the similarities in history – both Brighton Greenway and the Highline were disused railway tracks snaking through densely populated urban areas – there are differences: Brighton Greenway exists today because it received protected status (Site of Nature Conservation Interest/now Local Wildlife Site) back in 1992. Nature had taken over after the railway site was left derelict from 1969 when the Brighton Locomotive Works were demolished. So there is now a strong commitment to preserving and enhancing its status as a wildlife corridor. 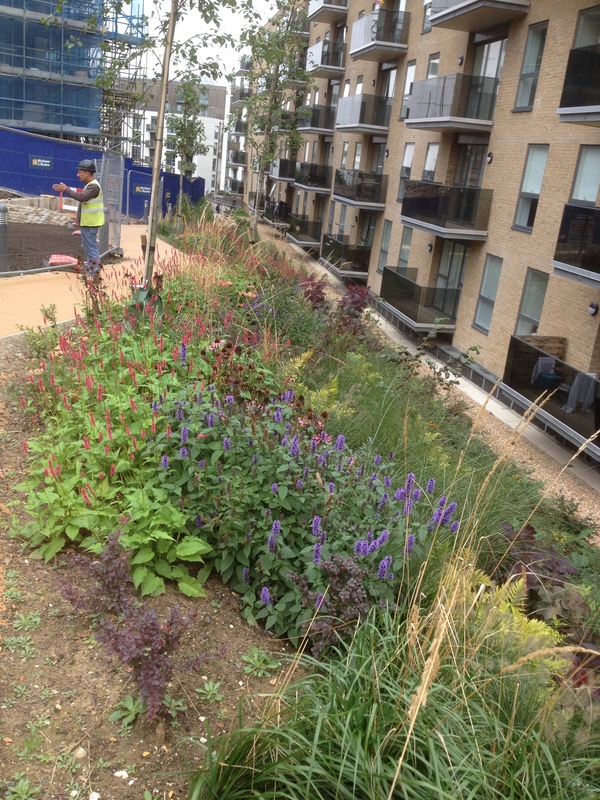 But that doesn’t mean we can’t explore renewing beautiful planting for Brighton Greenway. The newly opened Southern section – from Brighton Station cycle hub to Stroudley Road – now has lovely prairie style planting. Perhaps Brighton Greenway is a bit more like the proposed Peckham Coal Line, although even this fascinating project does not quite have Brighton Greenway’s wildlife status. Take a look though … they’ve just succeeded in generating £76,000 in crowd funding to start transformation. Though our Greenway is up and running, perhaps we could build on Peckham’s successful experience to explore projects for Brighton Greenway?